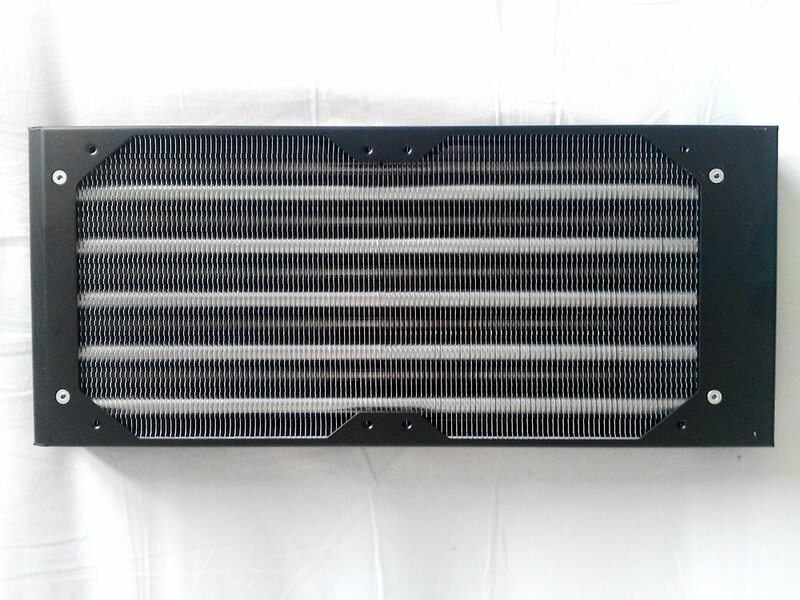 Our next point of interest is the radiator; also a key piece that determines the kit’s performance. The rad comes with, of course, it’s own manual. Not in the least underequipped, there are two fittings with clamps and a driver (again!). 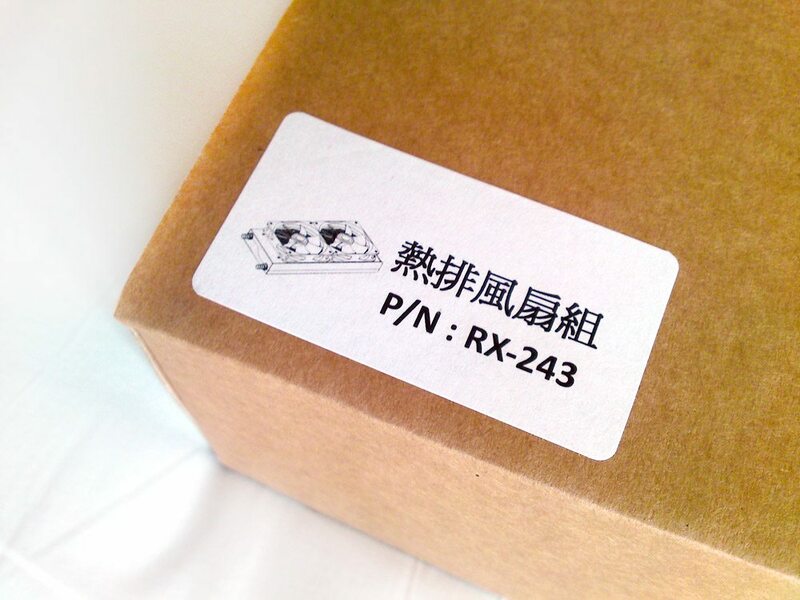 There are two white-LED 120mm fans and grills supplied which can be hooked up together on a single PWM with the split cable. 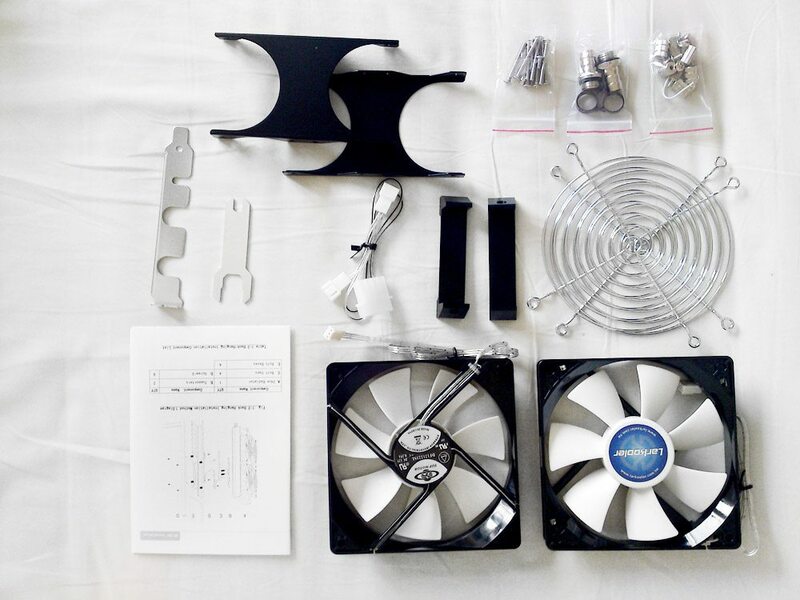 Another very notable part of this kit is the mounting material for the radiator: It can actually be mounted sideways to stand on a desk or the floor; or can be mounting on the back of the case to the exhaust fan’s screw holes! Things just got better. 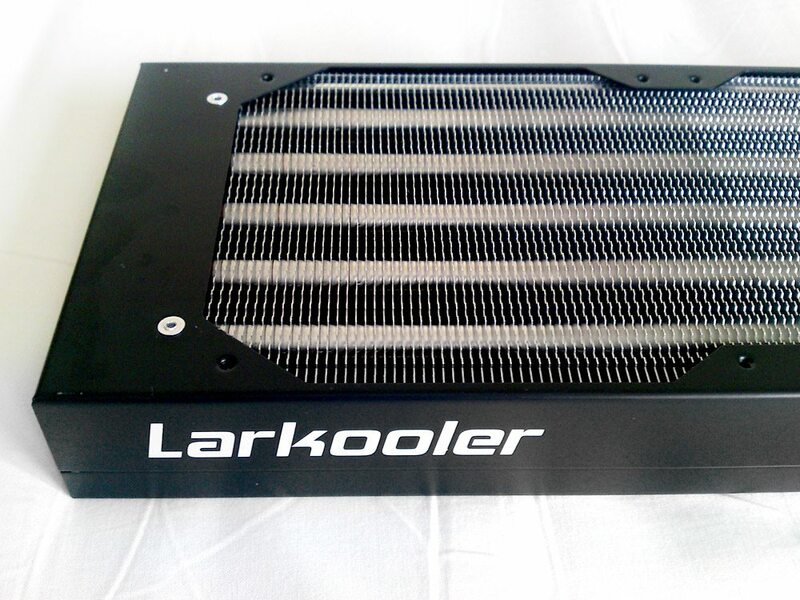 The radiator has Larkooler’s well-designed brand name on it. Getting excited? 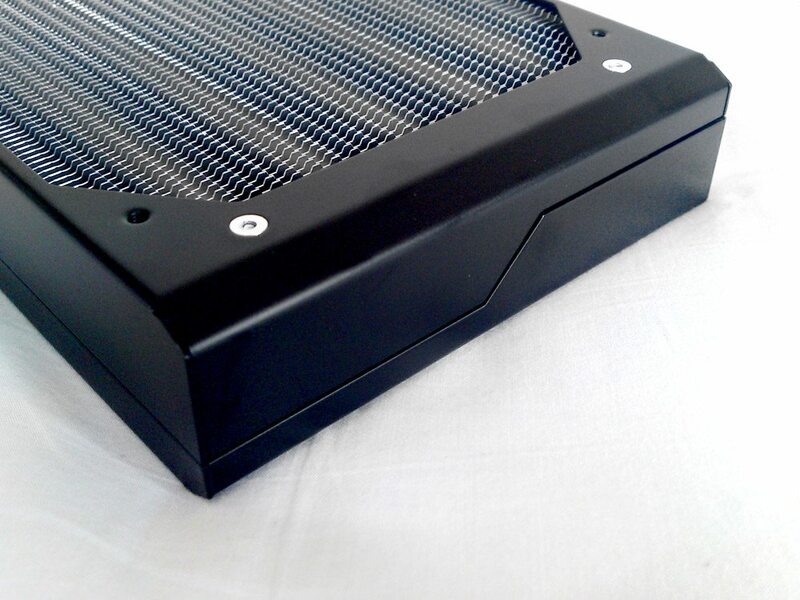 It has a non-standard cooling design too! You sure my water won’t leak out here..? 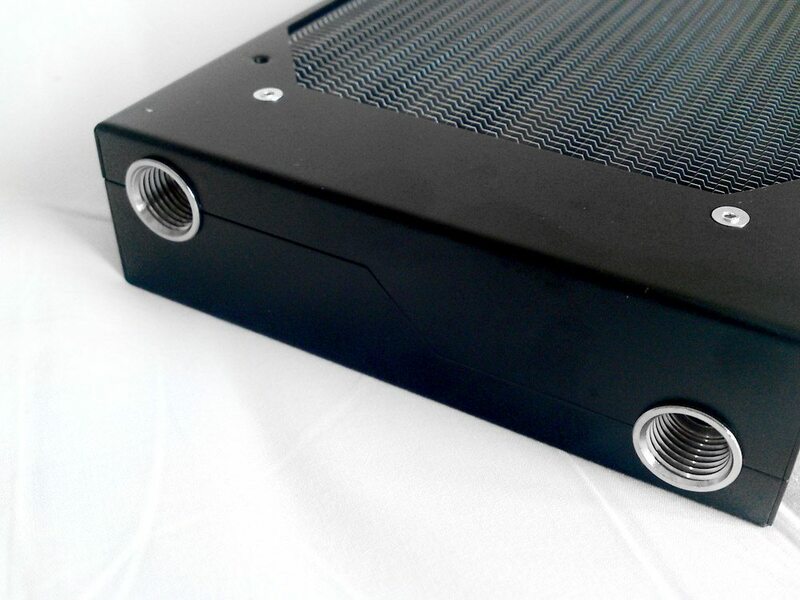 The fitting screw holes would possibly fit better on the front of the radiator, usually it’s best not to bend tubes too much. Seeing that the radiator can also be set up horizontally this isn’t necessarily the best option, though. 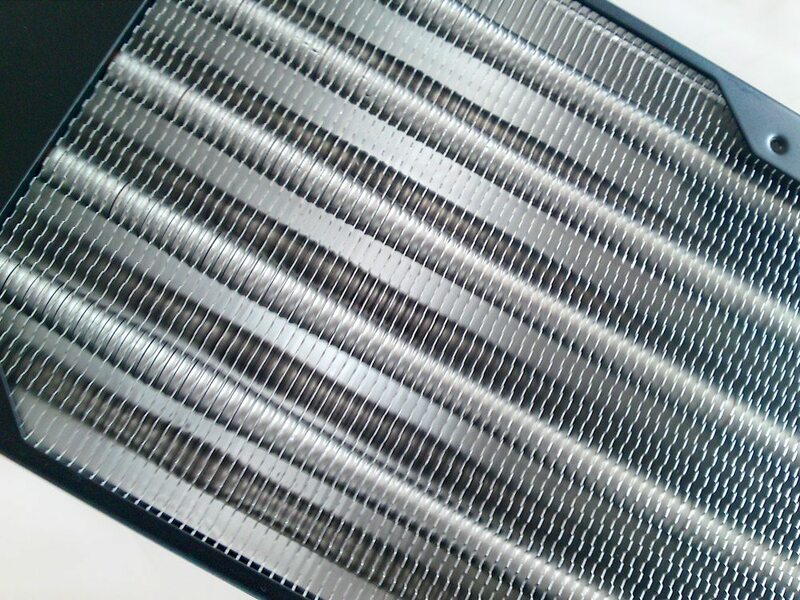 The radiator is built out of copper tubes with aluminium fins.